This post contains affiliate links. If you buy something from them, I earn a small percentage that helps keep The Spring Mount 6 Pack running. I have this gorgeous garden, well it a mess right now but, that I love. It comes down the awkward hill in my yard and it looks beautiful when it has been weeded and planted. There is one thing that I hate though. We have this ugly piece of rebar that sticks up right next to it that shows the property line between my house and the neighbors house. 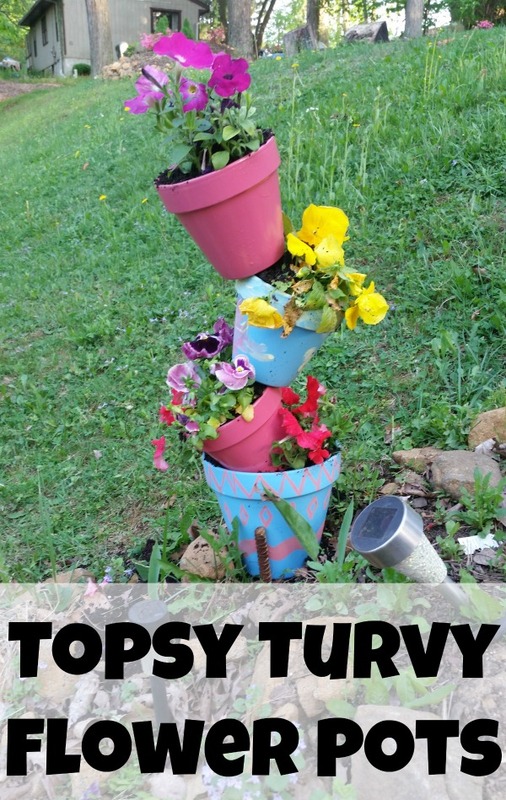 I have always seen those fun garden crafts that show the pots that are turned funny ways that look like it is impossible to stand up like that. 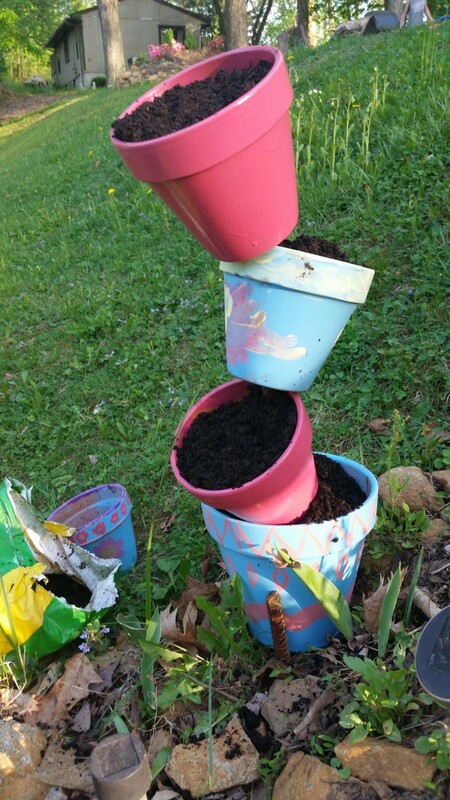 I thought what better way to cover that ugly metal sticking out of the ground and do a fun flower pot craft with the kids. Related: Want other gardening articles. Create this beautiful bird bath for your garden. 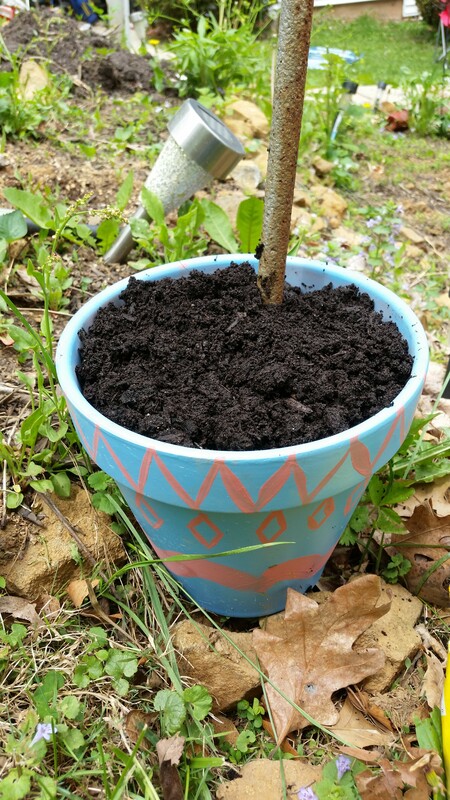 Make a turtle for your garden or use this simple trick for making your own seed starters. A piece of metal to run through the pots. Rebar is inexpensive and works great for this. 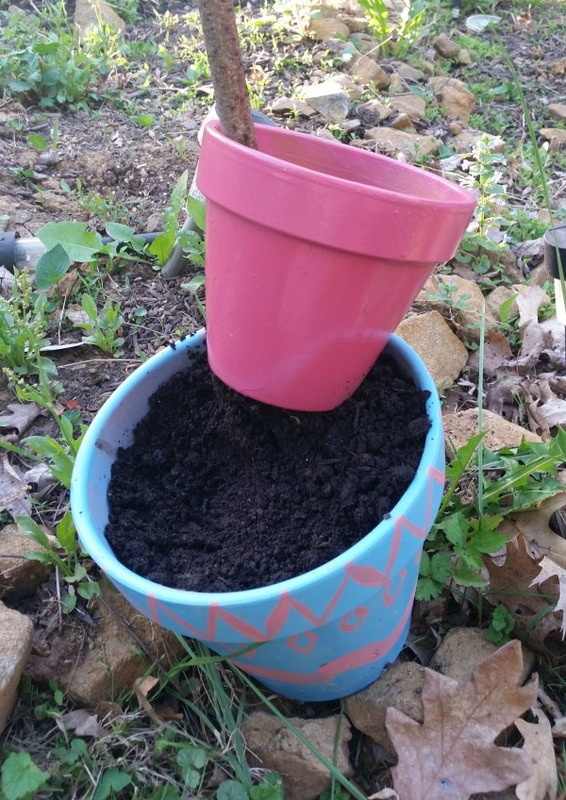 Flower pots- You need to make sure the hole in the bottom is big enough to fit your rod. Potting soil I love this kind. It gives me beautiful flowers every time. 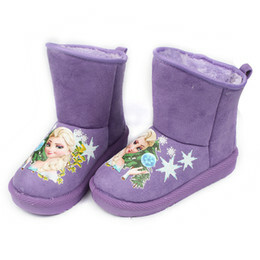 Pro Tip: I tend to always shop online. I hate to go to a store and then they do have what I need. I find that I also tend to save money when I shop online. 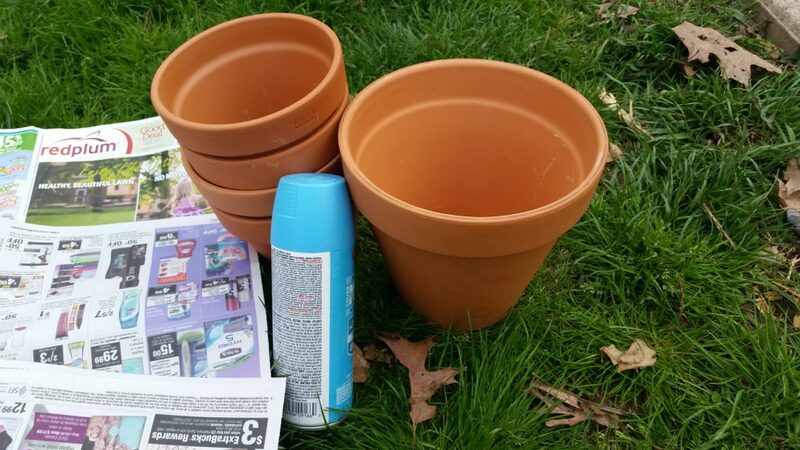 Start by painting your flower pots. We used spray paint because it is inexpensive and it is fast. 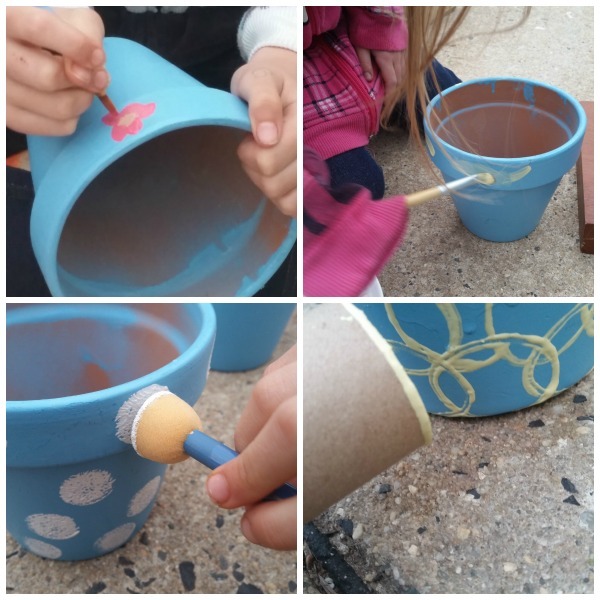 Once the paint was dry then the kids took acrylic paint to decorate the pots. We used lots of different methods on our painting. We hand painted flower. We used foam brushed as dots. And we used toilet paper rolls to make circles. Once the pots are dry, you can start to assemble the pots. Slide the first pot onto the rod. And fill with dirt. Slide the second pot on and tilt it as far as you can to one side. Once you fill it with dirt it will stay in place. Keep doing this for all of your pots. Once the pots are on place, plant your flowers. 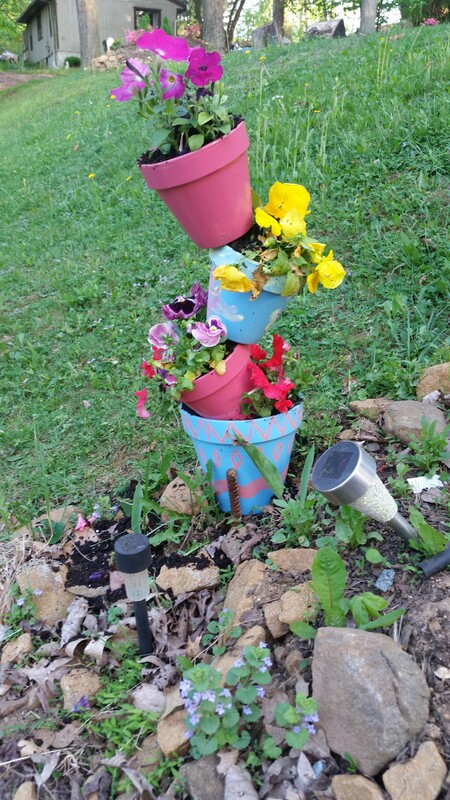 Everyone who comes over will be asking you how you made your flower pots like that. Previous Post: « What wine should you use for cooking?